Recycled glass tile and other eco-friendly activities are slowly gaining popularity today as people become more conscious of the environment and its preservation. Pollution of the environment plays a direct role in making the environment hazardous to human survival. Even our health is affected by the state in which the environment is in. Any activity aimed at preserving the environment is an activity that is aimed at ensuring that human survival is guaranteed. One such activity is recycling glass. Small mosaic tiles are manufactured by heating glass to a molten state, after which it is poured into a form that creates small batches of tiles. These mosaic tiles are then assembled onto sheets meant to make their installation much easier. The process is very rigorous and requires very high temperatures in order to melt the tiles. However, the method is often used frequently since setting it up is quite easy. One advantage of this method is that it producestiles that are small in size, which means that production waste is minimized. The second method is used to manufacture large glass tiles. The process is basically the same as that used in making small tiles, where the glass is melted. However, when making large tiles, the glass will be held in an oven where it is heated to over 932 degrees F, and then cooled slowly. This is meant to make the glass tougher and less brittle. This method, in contrast to the former, produces more production waste. In addition, large tiles require more control for excellent color and quality, making the method less popular.A third method involves making tiles from cullet, which is glass that has been crushed and sorted by size and color. The cullet is placed in ceramic molds, where it is heated to 1472 degrees F. compared to other methods of recycled glass tile manufacture, this is the fastest, having a faster production cycle. However, the color of the tiles is limited to the original color of the cullet that was used. This including shower stalls, bathroom and kitchen floors as well as backsplash areas. One of the benefits of recycled glass is that the abundance of waste glass in landfills is put to good use, leaving the land free to be utilized for more biodegradable material. As such, there is less environmental pollution. This also means that landfills do not need to be increased to accommodate the rising amount of glass waste. Apart from the fact that recycled glass tile manufacture utilizes glass waste, another way in which this activity is eco-friendly is observed in the manufacturing process. Less fossil fuel is used, and reshaping glass takes far less time and energy in comparison to making tiles from scratch. The functionality of recycled glass tiles is also impressive. They can be used both indoors and for outdoor surfaces. The tiles are resistant to chemicals and stains, and do not allow mold, mildew and certain types of bacterial to grow on them, making them suitable for outdoor use. They also do not hold water or stains, which makes them appropriate for clean and hygienic kitchens and bathrooms. In addition, where ceramic tiles will typically absorb light, recycled glass tiles reflect light, and can therefore be used to brighten dark areas. The growing popularity of recycled glass has persuaded manufacturers who in the past only dealt with ceramic tiles to now incorporate recycled glass tile into their production lines. 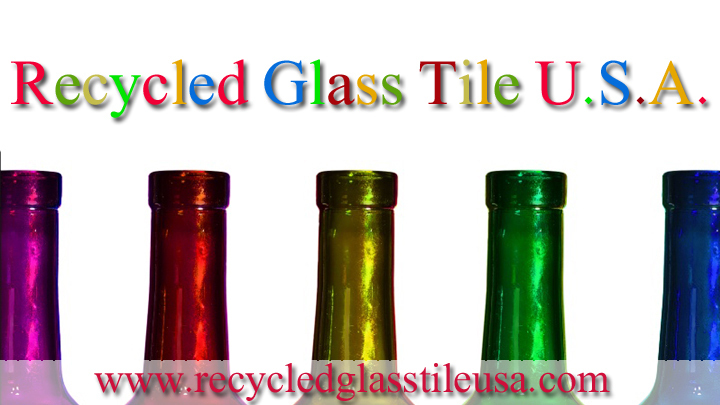 With such advancements, it is clear that at the end of the day, it is the consumers who will stand to gain the most from utilizing recycled glass tile. See What You Can Do With Recycled Glass Tile in Our Video Below!